A huge crowd seen performing namaz on the occasion of Eid-ul-Fitr. 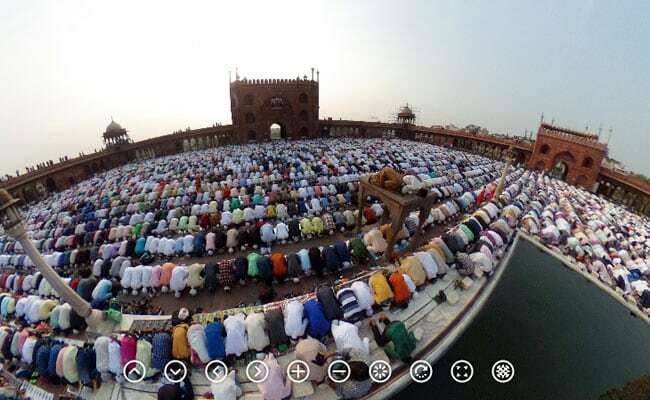 New Delhi: Early this morning, Delhi's magnificent Jama Masjid witnessed a sea of namaziz reciting prayers to mark the end of their holy fasting month Ramzan that began on May 27 and ended on June 24. Eid-Ul-Fitr or Eid-Al-Fitr, as the festival is known, is an important day for Muslims. 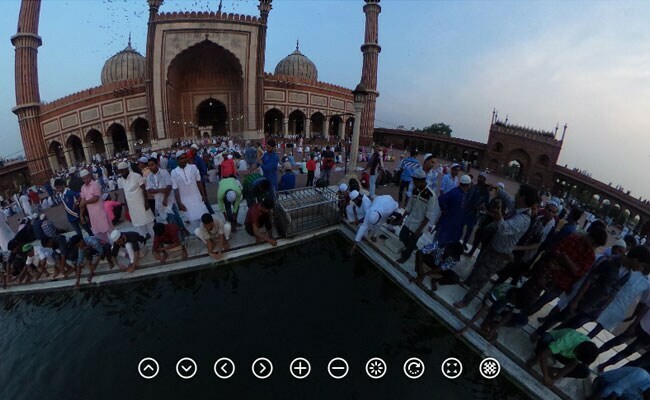 Thousands of people gathered at the Masjid courtyard, which was built by the Mughal emperor Shah Jahan, and said their prayers in unison. Eid is seen as a day for special prayers. Muslims greet each other with gifts and cards. Some people also visit burial grounds to pay respect to the departed souls - a custom known as ziyarat-al-qubur. The timing of Eid is based on the Islamic lunar calender. Muslims look forward to this day as an occasion of peace, happiness and festivity. Traditionally, Eid celebration is a public holiday in many Muslim-majority countries. Move this photo around to see huge crowd streaming in through a large ornate bronze cladded gate into the Jama Masjid to offer their Eid prayers. After the prayers, Namaziz greeted each other Eid Mubarak by hugging each other. Click on the video around to look at the crowds. NDTV is the only news broadcaster in India offering 360-degree coverage. 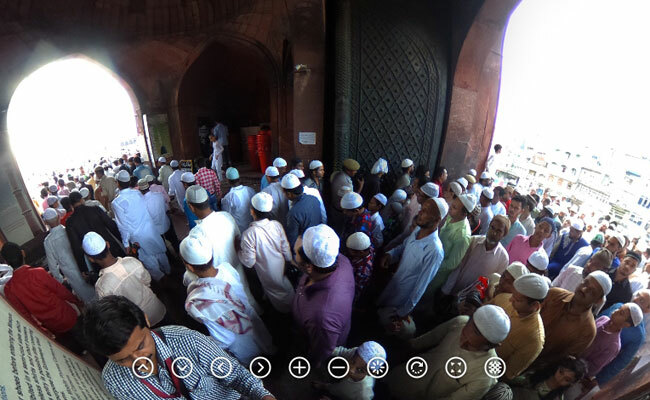 More 360-degree photos and videos here.